Greetings from Washington State! 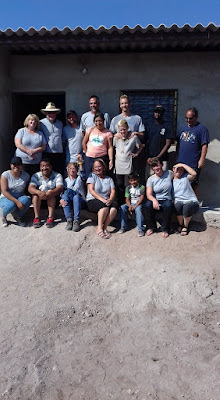 We have arrived at my parents’ house after spending two weeks on the road visiting friends and meeting the team from The Well in Salt Lake City who will be building a house with us for a needy family in Cofradia in November. 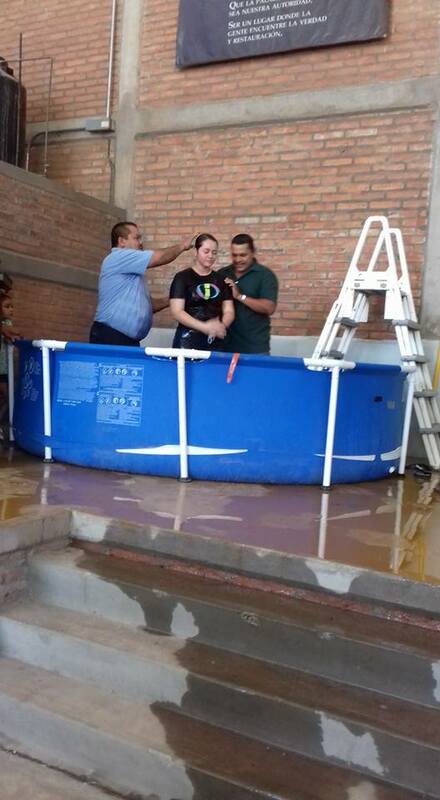 Our trip started in Cofradia with a special Sunday service where Rebecka was baptized. 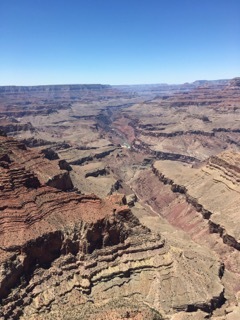 We made our way north driving through Grand Canyon National Park, Salt Lake, visiting friends in Twin Falls, Kennewick, Goldendale, Yakima, and Auburn. You can read about our adventures and see some pictures here. 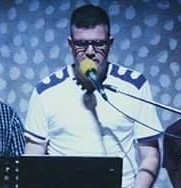 David Medina. Thank you for your continued prayers for David’s progress. He has been doing well and started attending church again as he has now gained enough strength to walk. Praise the Lord! Pastors’ Breakfast/Meeting We had a great time meeting with local pastors. 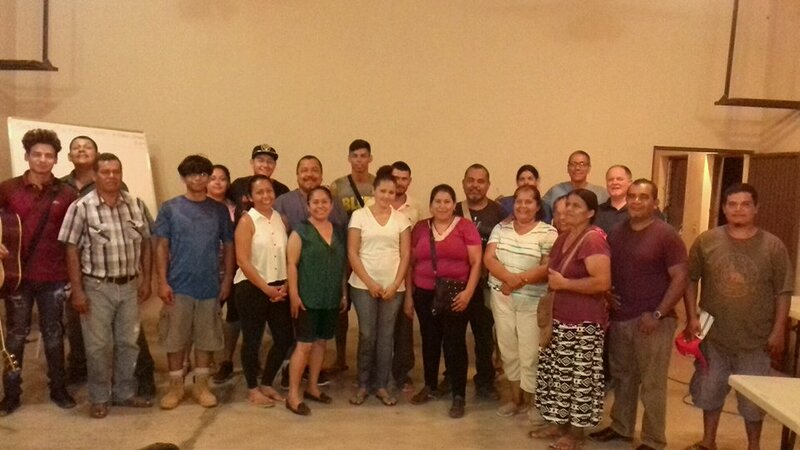 We shared with them our desire to see us all on the same page as we Raise Up Leaders in Rural Mexico in order to extend the Kingdom of God. We are all on the same team and discourage competition amongst pastors. 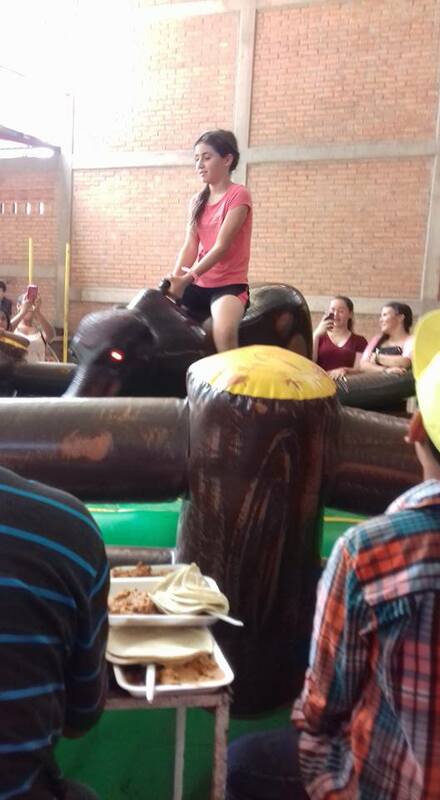 Mazatan and Las Varas. Pastor Luis’ family and ours visited these two congregations in order to invest in their ministries. I spoke in Mazatan and Luis spoke in Las Varas. Great time! We also met a new pastor who has been teaming up with Pastor Ruben (who pastors Las Varas and Mazatan). 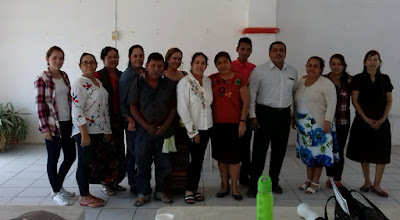 He is leading a group in Compostela, Nayarit. Women’s Ministry The women have been consistently meeting on Saturday mornings and have been seeing some really neat things happen in their lives. A spark has been ignited and it’s great to see! Freedom in Christ Seminar. The seminar for June 7-9 was postponed until August for when we return. 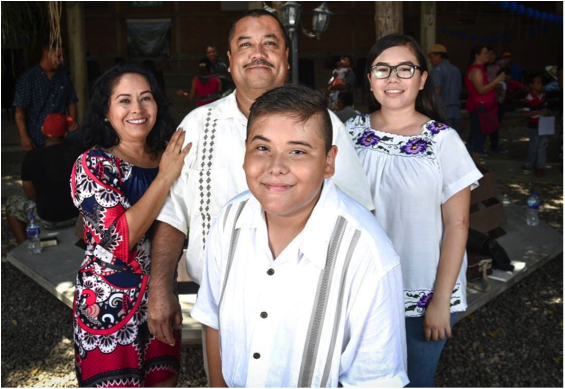 Father’s Day, Congregation Day, and Baptisms. We had our quarterly celebration service as a number of churches and individuals in the surrounding areas attended. You can read what happened during the service in our blog post “Traveling Adventures to Washington”. Stateside Trip. Thank you for praying. We had an excellent time during the two weeks we spent traveling to Washington. We will be in Washington for the whole month of July and spend two weeks returning to Cofradia via Oregon, California, and Arizona. We’d love to see you! Pastors’ Perspectives (updated): Click here to read bi-annual reports from our Pastors. 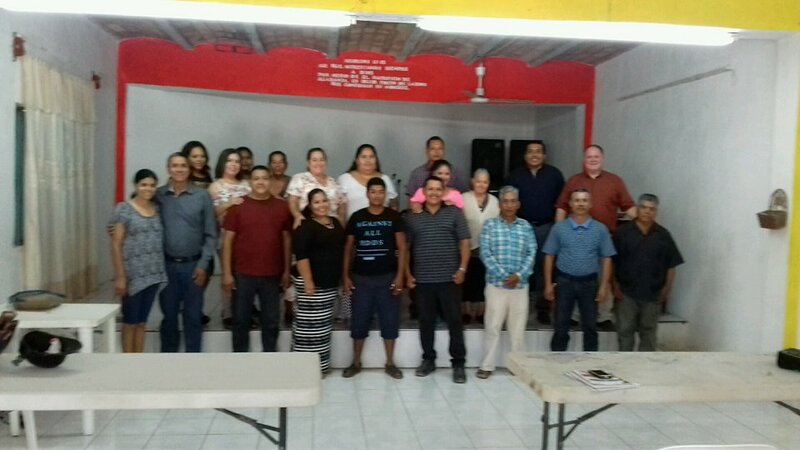 Pastors of La Cofradia United. Please pray for the pastors who we are working with. 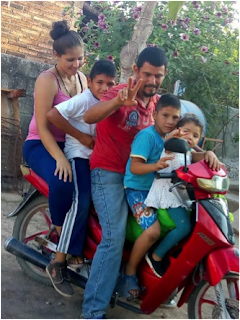 Pray for growth in their personal relationship with Christ, protection over their families, wisdom as leaders, and financial provision. Stateside Trip. We’d love to see you and will be in Washington State all of July. We will return to Cofradia through Oregon and California at the beginning of August. Pray for wisdom, financial provision, and that we will be a blessing to all we come in contact with. EL RETO 2018 is here! We have received a few donations throughout the year, so this year our goal is only $1,000! So many students who do not attend church come to this event and it gives us a huge open door to minister into their lives. Click here to read about EL RETO. Become a Sponsor of this event here. 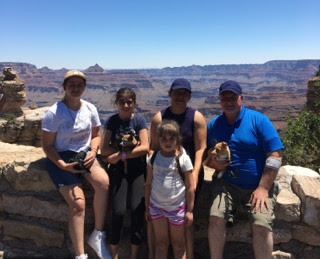 Our trip started on June 17 while we were still in Cofradia. 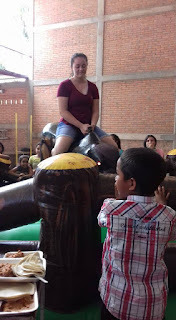 The church service was on Father's Day, but we had a number of activities that day as well. This year, we recognized those who participated in the 13-week Freedom in Christ discipleship course. 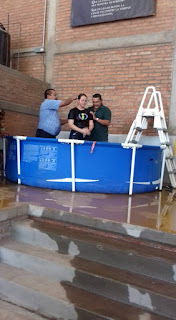 We had a number of people be baptized including our daughter Rebecka. 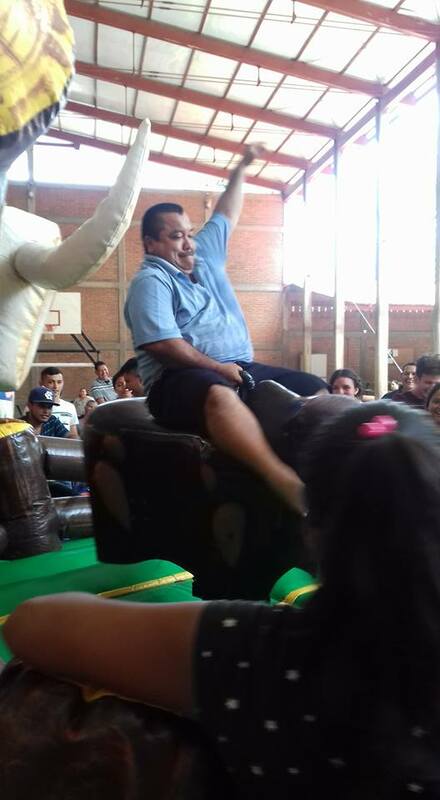 Even Pastor Amado got into the action! 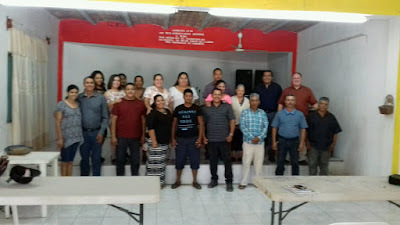 Just after the church service on June 17, we hit the road to stay with our friends the Robles Family and the Quintero family in La Cruz, Sinaloa. That gave us a head start to cross the border the next day and stay in Green Valley, Arizona, at my former High School teacher Konopaski's condo. The next morning we stopped in Tucson for lunch and continued on to Flagstaff for dinner and stay the night. Making our way to Salt Lake City, we headed to the Grand Canyon via Williams, AZ. 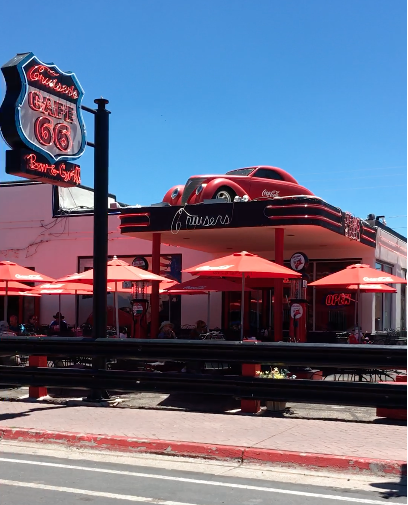 We drove through town admiring the decorated buildings of the famous Route 66. 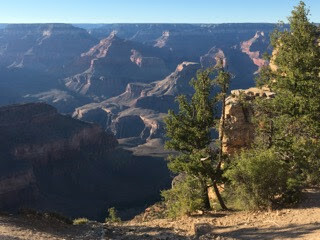 After stopping at the National Geographic Gift shop to watch a movie about the Grand Canyon, we entered the park to get a room at the Yavapai Lodge. Then, spent a couple of days mini-hiking and taking pictures of the big 'ol crack in the ground. Our first impression was, "WOW!". It is definitely big and scary looking up close (I'm not a fan of heights) knowing that every year, someone falls down to their death. It really is pretty impressive! The next night we stayed at the Cameron Motel before heading to the North Rim of the Canyon via Marble Canyon and arrived in Salt Lake City with our friends the Ongs. 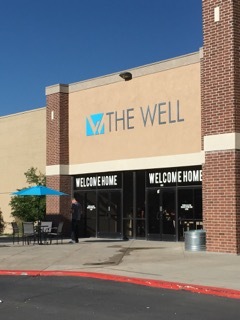 We stayed in Salt Lake for four nights as we visited with the team that will be joining us in November to build a house and was able to greet the congregation during the services on Sunday. 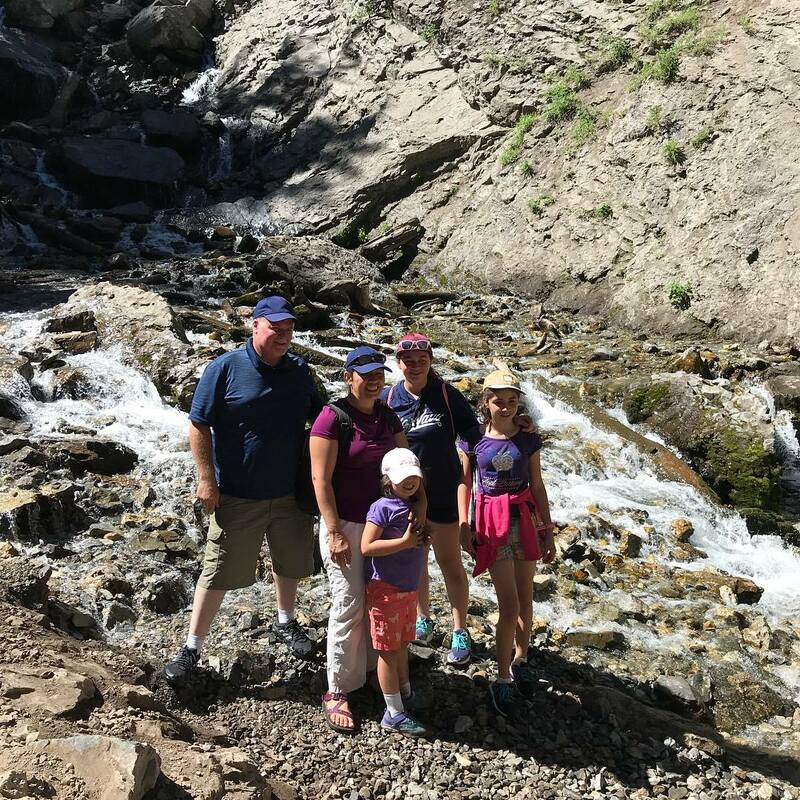 We also had time to go hiking up to Alta and Donut Falls as well as swimming at the outdoor community pool with the Orr family. From Salt Lake City, we headed to Jerome, Idaho, to visit a college friend and his family, the Scarrows. We had a great time catching up; it was so good to see him and meet his family. He showed us the Dairy Farm that he and his brother run the next morning before we headed to Kennewick, WA. In Kennewick, we stayed at the Best Western and visited with the Leakes. I haven't seen them in ages either. 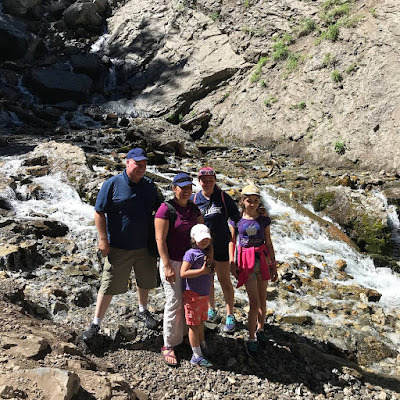 From there, we headed to Goldendale, Washington, to stay with the Schillings. Loved the openness and felt right at home in the "small town" atmosphere. Our final two days took us through Selah, WA, and was able to visit my former elementary school teacher, Mr. Platt. I have not seen him since grade school! Great to see him and Dr. Bethel over lunch before we headed to Auburn, WA, to visit and stay with Geña's sister and her family. Finally, we arrived at my parents' house on Saturday night, after 14 days on the road and over 3,000 miles. It was a special treat to see everyone and the sights on the way. We appreciate all of you who pray for us and invest in our ministry. 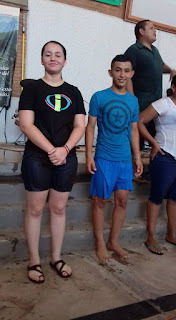 There are a couple more pastos included who have been participating in our ministry and have asked to be part of our team. 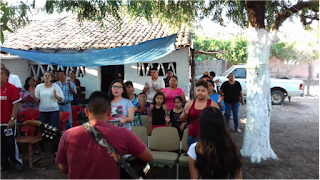 Our focus is to Raise Up Leaders in Rural Mexico as we extend the Kingdom of God. In one way or another, everyone is a leader. So, it is important for all of us to understand the necessity of growing in the Lord and becoming faithful Disciples of Him. All of these pastors can use financial support. If you would like to sponsor one or more of them specifically, please let me know. Otherwise, you can make a general donation here specifying the gift for "Pastors" and we will evenly distribute it. I would like to take this opportunity to focus on what has been happening in the church. I do not refer to membership growth, but rather to the perseverance of the body in growing into the likeness of Christ. The Freedom in Christ course has been an infulential tool in this growth. I refer to it as a tool because we know that freedom is only availble to us in Christ, and knowledge of that has had a powerful impact in Cofradía because it has helped us to acknowledge our own responsibliity and as well as to see the need in others. All of the leaders and congregants who have taken the course have told us they “feel as light as a feather” or “as if a great weight has been lifted” from their shoulders. And such has been the fruit of this course. As we understand more deeply who we truly are in Christ, the more fruit we bear in Him. Now we understand that we are not called to produce the fruit but are called to bear it. In the last couple of months we have seen one of our brothers be healed after being diagnosed with Prostate Cancer. He was so ill he could not even get up and walk. After having prayed for him, the Lord healed him and now he can walk without the aid of a cane! His improvement continues and we are doing the Freedom in Christ coursework with him. He and I spend time regularly going go up and down the streets praying for people. Yes, we use the truck for this, but the point is that he is now ready and willing to do it! And I am asking that you pray for him, that he would continue to live a life of freedom that bears much fruit. 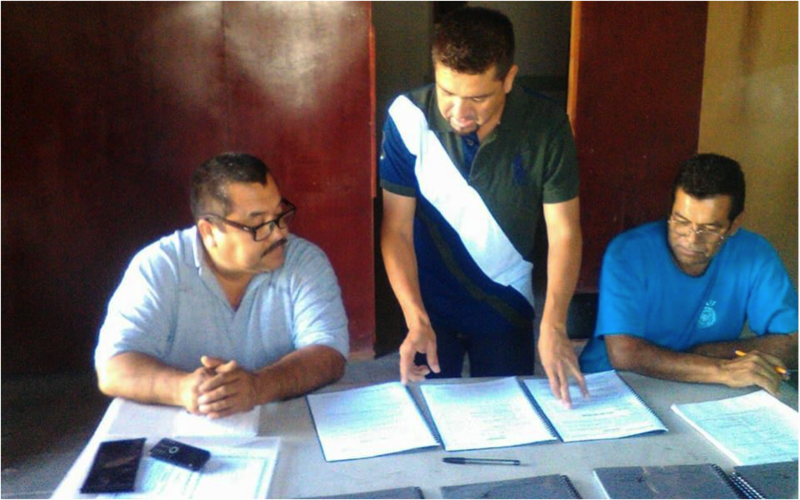 I also want to share with you that we have begun visiting the town of Arrayanes again. We have been going on Friday, and although we have seen very little response, in the last three weeks, more people have been coming to our gatherings than when we began. On June 30 we will conduct an evangelism event there, complete with home visitations, passing out pamphlets, musical worship, and a message. I want to thank you for your spiritual and financial support of this ministry. Thank you so much for all that you have given and for the blessings that has brought us! I greet you in the love of God poured out on us through communion with Him. I hope that you are well and enjoying the mercy of God that is new every day. As a family, we are content with what God is doing in each of us. Carolina and Angel completed the Freedom in Christ discipleship course that is offered every year in our local church, and this year Luis will be studying at the University in Tepic where Carolina has been studying the last three years. 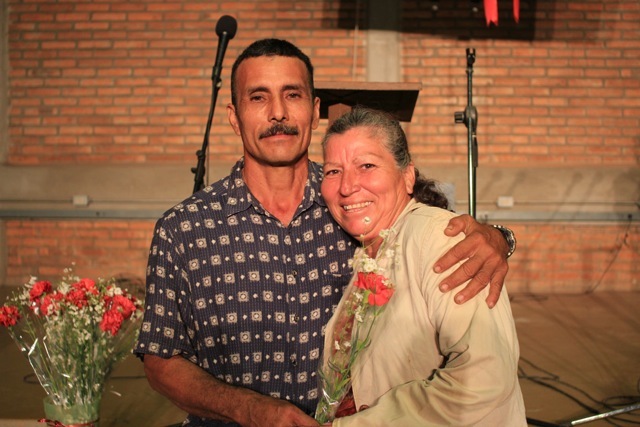 We ask for your prayers, that they will both successfully complete their degree programs. This year we will host EL RETO once again. We are planning to begin September 1, and our theme will revolve around the concept of Choosing Truth since this is a deep need our time as the lies of the enemy seem to be prevailing. At the end of last year and the beginning of this year, we built three Dwellings homes with the help of short-term missions teams, and it is exciting to see how the lives of these families are changed as a result. We are teaching the Freedom in Christ discipleship course, and it has been a great blessing to see how the participants have begun to take ownership of their freedom in Christ. So far this year we have taught the course three times in three different churches and once in our own local church. 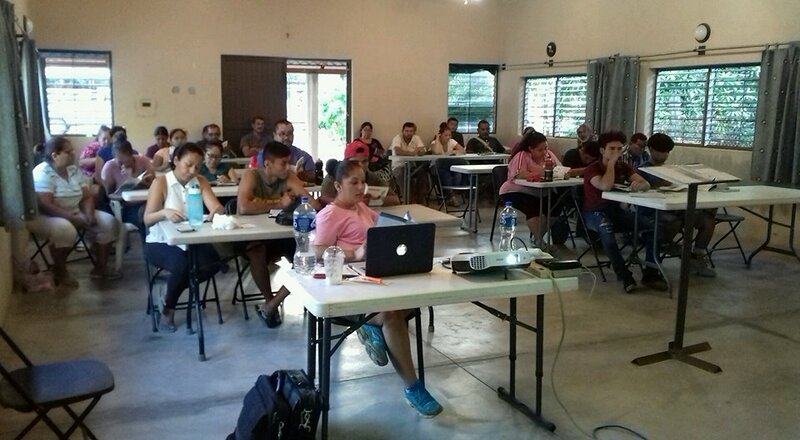 Other pastors we are friends with are requesting we teach the course for their churches as well, and it is exciting to partner in this endeavor with our teaching team. ● Our marriage and family. We thank you for your prayers for us and for the generosity you have shown us and continue to show us. We pray for you as well. Thank you, and we love you. Brothers, it is with great pleasure I write this letter, first to express my deep desire for your health and wellbeing. 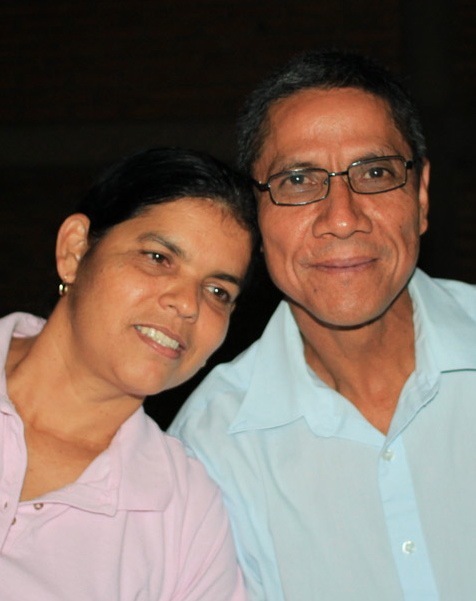 María continues her diabetes treatment, but other than that we are all well. Martin is still living in the mountains, in the Mesa del Nayar, working with the youth there. 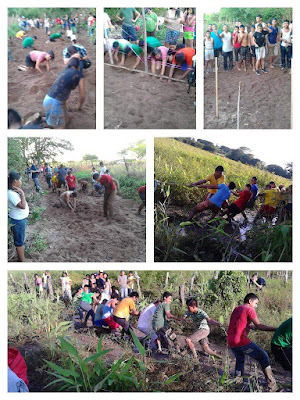 We visited him in March and had the opportunity to help him with a four-day event in which the youth participated in various field day-style team competition games. Members of other neighboring churches also participated, and we helped organize, and most importantly, present the Word during certain portions of the event. Brothers, I also tell you with great pleasure that we taught the Freedom in Christ course in Arrayanes. For me this was a substantial teaching that led me to recover my identity in Christ, which has helped me significantly in my role as a church leader. 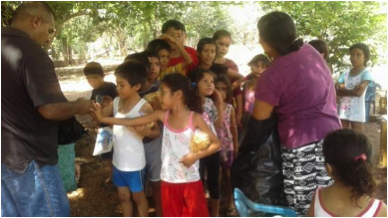 We continue to Las Ajuntas (Mojocuautla), a mountain village where two families have believed and welcome the Word the God. I continue to trust that God will do a great work and glorify His name there. My desire is to see the male leaders there raised up and trained to continue the work of the gospel. I also want to let you know that we will host an evangelism event in Los Arrayanes on June 30, the purpose of which is to strengthen those who already believe and to present Christ to those who do not. I do not grow tired of thanking God for what He is doing in you as you continue to offer your financial support as well as your spiritual support and prayers. I also thank God for the ministry He planted in these places, directed by wise and faithful leaders. Thank you brothers! 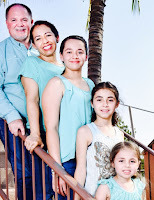 Receive greetings from my wife, María, and our daughter, Kenia de Jesus, who God be praised will very soon complete her first year of high school. 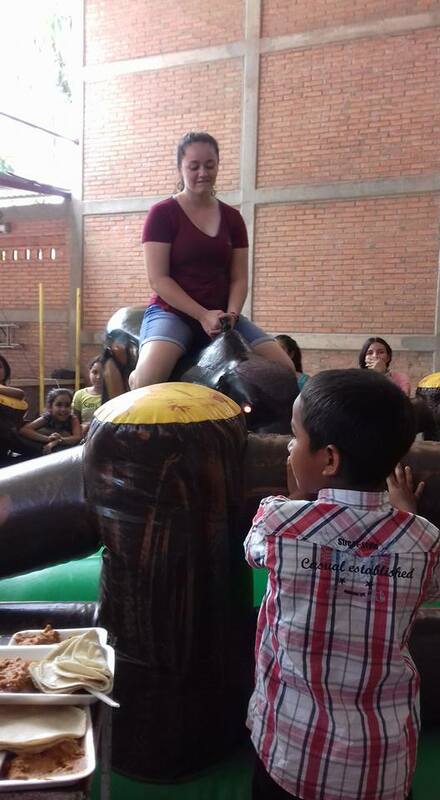 To begin, I thank God for the privilege he has granted me to be working in the Mesa del Nayar, where we work with youth and children, many of whom have no father or mother. We share devotional message daily in the morning and the afternoon with themes from Scripture they may relate to. 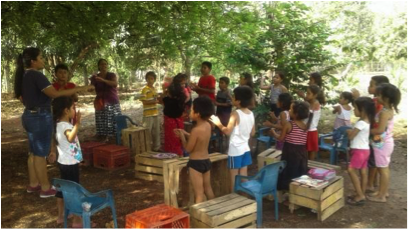 We also teach Bible studies to the youth and children, teaching them biblical history; at the end they make a craft that corresponds to the lesson they have just heard. For this reason, a group of teachers was organized to give these regular lessons. The youth who have received Christ are receiving discipleship training in order to deepen their lives in Christ so that they are prepared for every good work. 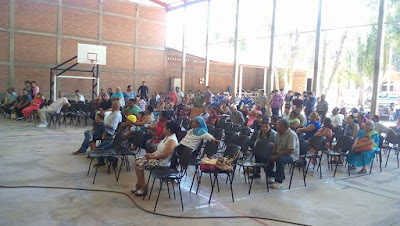 We also host outreach events to attract more youth who do not yet know Christ, similar to EL RETO. 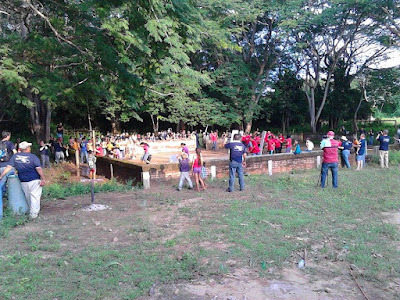 We did a mini RETO earlier this year and also a fellowship event. 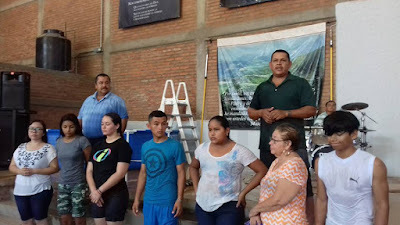 One of the things we are praying for is to begin cell groups for the families of the youth who have come to know Christ, and that those youth will themselves be able to share the Word of God in those groups, since they know the Cora and Huichol languages better than us. We believe God has raised up these youth for an important mission, and we are hopeful for good results. To that end, we are also working in drama ministry, teaching the people a message from the Word through the medium of drama. And this is a summary of all that I am doing with God’s help. 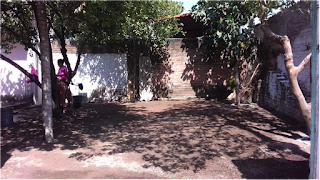 My name is Amado Verdin Ramírez, and I am a mechanic by trade as well as the pastor of a small church, called Casa de Oración La Hermosa, in the town of Rosamorada. I work with my wife, Lourdes, and my children, Yessica and Abraham. 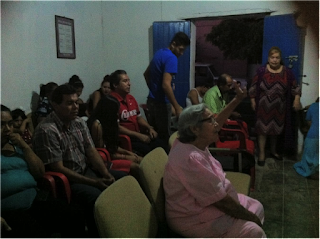 Our ministry began with a cell group in a small room at my auto repair shop. Later, after being called to become pastors, we initiated our congregation under a tree in our repair shop patio. Now, we are using a borrowed space for our meetings and services. Our initial cell group in the little room at my workshop. Our very first service, under the tree in our patio. One of our services in the borrowed space we currently occupy. God has placed in us the calling to extend His Kingdom to all people, especially among addicts. For this reason, the mission of the church is to build a restoration center so that we may see those suffering from addictions, restored to life by the Word of God, and reintegrated into society to becoming a benefit to the community. 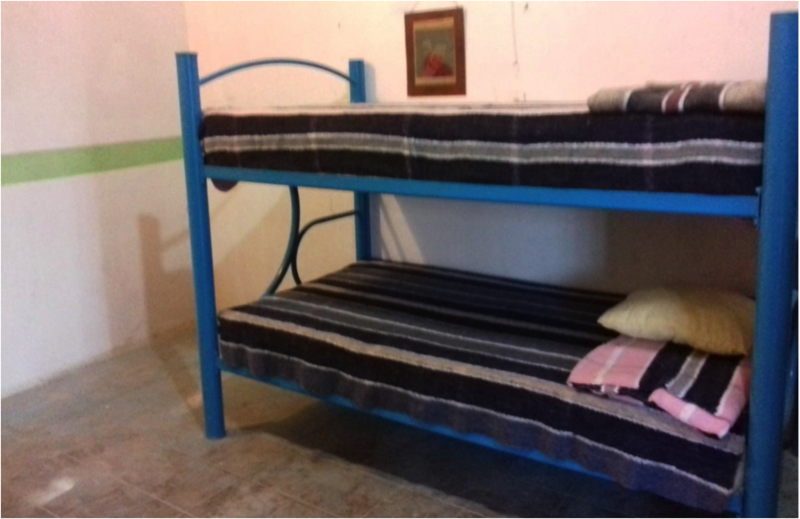 So far we have a rented house, three bunk beds with mattresses, a stove, a refrigerator, blankets, and all the study materials that will be distributed to the residents. The front of the rented house we will use for our restoration center. Side view of the rented house. Courtyard of the rented house. Training for how to distribute study materials to residents. We are in the process of getting the permits required to legally operate the restoration center. And on July 14, we will host an intensive First Aid training course for all of the restoration center’s personnel. We have already begun working with a family struggling with additions. 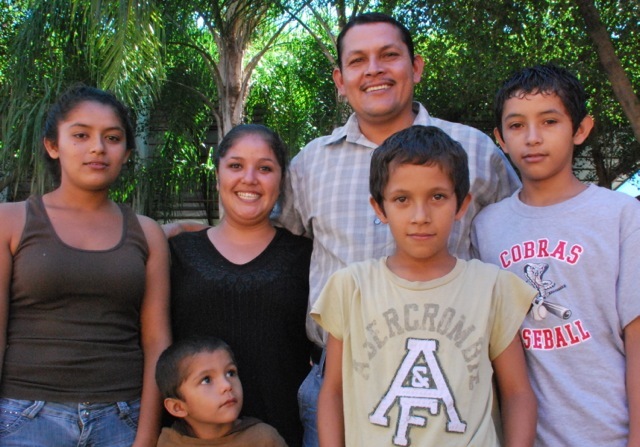 We are the Uribe-Zavala family, of Rosamorada, Nayarit, and we work with underprivileged children. We teach them the Word of God one day a week, and following the lesson, we give them a small snack. Our plan is to do this multiple times a week, adding breakfast, but we have encountered several obstacles: the scarcity of food and the lack of adequate meeting space. For now, we gather in a borrowed courtyard shaded by trees. 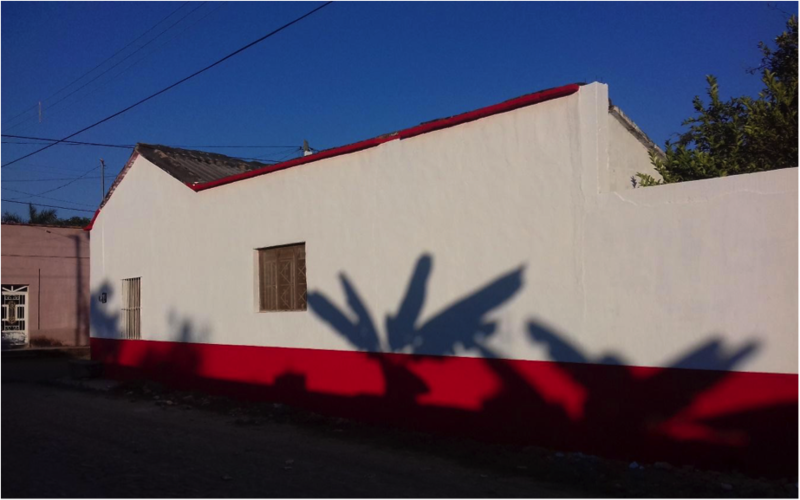 Our vision is to acquire our own space with its own roof, enough chairs and tables, and enough cooking equipment to accomplish the work we desire to do with the children of our community. 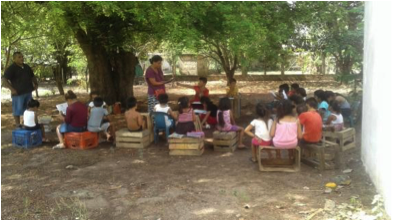 Our objective is to be firmly established in the community for the wellbeing of these children. For now, I bid you farewell with my best regards and blessings. 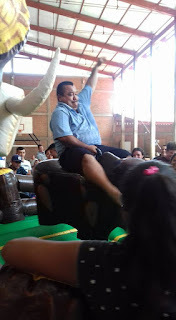 My name is Ruben Dario Perez Sandoval. I am married to Carla Valeria Perez Barillas, and we have three children: Ruben, Hector, an Abigail. 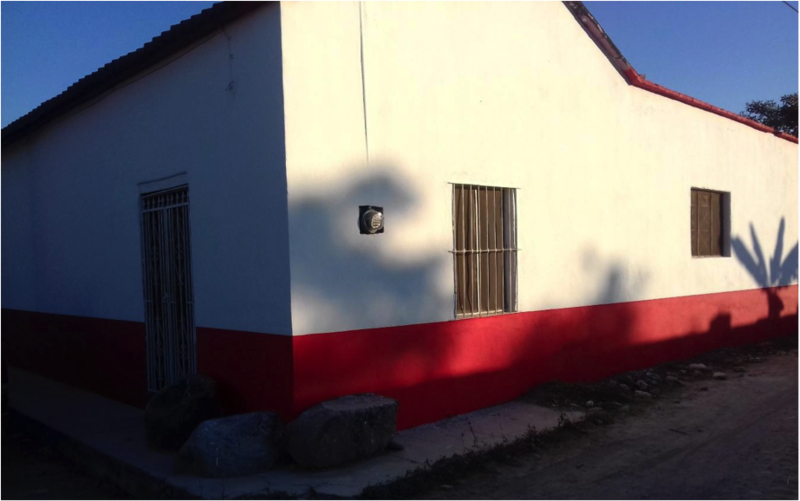 Currently, we are the pastors of Restoration and New Life Church, located in Las Varas, Nayarit, Mexico. 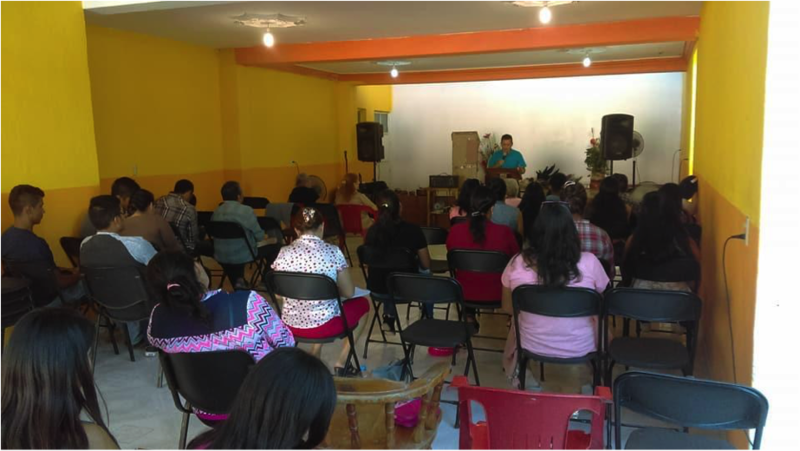 We also lead another group of believers in the town of Mazatan, Nayarit. My wife and I have been pastors for approximately six years. Our vision is focused on the restoration of families and of marriages on the brink of divorce. We ourselves were once on the brink of divorce, and God restored us, and what could have been my greatest failure, today is my greatest victory. For He restored us, and now we have the privilege of brining restoration to others. Not just marriages, but our vision is to see children, youth, and adults who have suffered from all kinds of traumas or emotional wounds find restoration. We want to raise them up and disciple them so that they may be leaders, sent out to fulfill their calling. We have some property that was donated to us, and there we would like to build a center for restoration and discipleship for all those we desire to help. The intention is to build retreat cabins suitable for couples, youth, children, and adults. It will be a place where we not only minister to and help them, but also, after they are restored, raise them up and equip them in their ministry, helping them to discover what that ministry is and developing them to be leaders in it. Blessings to you, and we invite you to join us in praying for our ministry here in Nayarit, Mexico.